Thank you very much to the Rock River Valley Shamrock Club, The Dixon Knights of Columbus and all the great people in Dixon Illinois! Your warmth and hospitality are amazing! It was an honor to play for you at your fabulous celebration. We had a fantastic time! 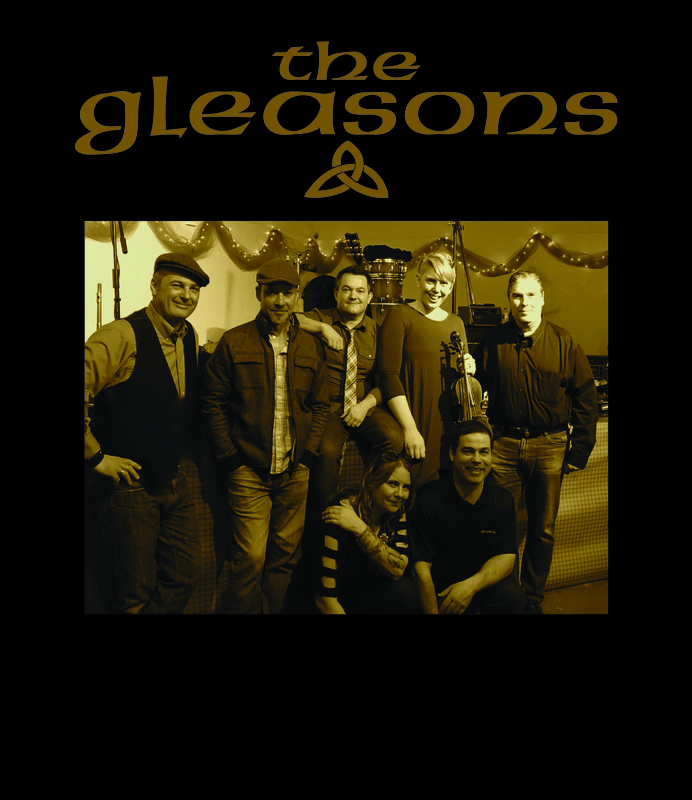 Our next show is at The House of Guinness on Saturday, April 14th @ 9pm! More show announcements in the near future! Hope all is well. In addition to gearing up for spring and summer shows, Andy and Vince have been hard at work filming, editing, and directing the first video from Worries at the Gate. We look forward to sharing it upon completion, Rock on!! We are excited to share a new review of Worries at the Gate! What are The Gleasons up to? Greetings! Hope all is well. So here’s what we are doing… After a very busy and fun August we are currently working on our video for Eleven Years War. So fun!! In regards to Worries at the Gate, digital downloads will soon be available to you on iTunes, Google Play, Amazon and Spotify. We will drop you a note when they are ready to go. We are also working on shows for 2017 and 2018. So… what next? Ahhh…. how about new songs? Yes, we are writing some new ones! Stay tuned for more updates in the future! Worries at the Gate is here! Worries at the Gate is a wrap! A big and very special thank you to everyone involved: Michael Mann, Rebecca Pingel, Aaron Heffernan, Tony Pitcher, Rory Modlinski, Kelp Chofs, Stephen Kilkenny, Pat R. Steiner, and of course, our very supportive families. It was a fun and challenging project. We stretched our wings on this and we really hope you enjoy it. Thank you for all the love throughout all these years, you inspire us! The CD will be available on CD Baby, iTunes, and Spotify in the very near future. We will also have them on hand art our upcoming shows. Chicago, Greendale, Muskego, Milwaukee here we come!!! Please check out our Upcoming Shows page for details!